Posca PC8K Broad Yellow The Uni Posca Broad line marker has an 8mm wide chisel tip marker allows superb coverage. 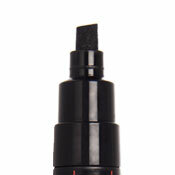 For use on most surfaces including but not limited to: windshields, showroom windows, plastic, metal, wood, or vinyl. This paint will bond permanently to wood, clay pots, poster board, plaster and other porous materials. Water based paint is odorless, non-toxic, fade resistant, and waterproof once dry. 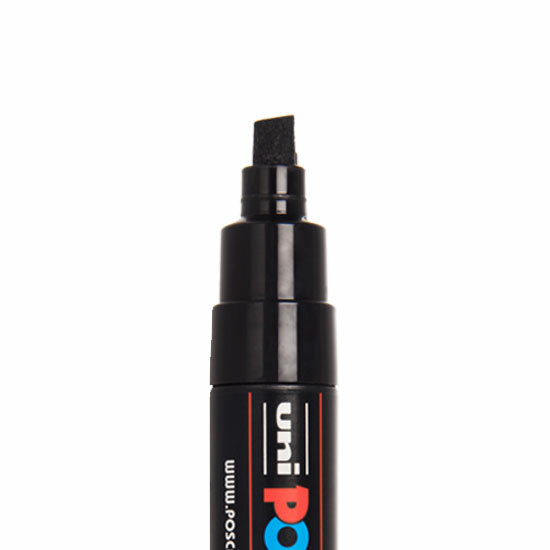 The Uni Posca Broad line marker has an 8mm wide chisel tip marker allows superb coverage. For use on most surfaces including but not limited to: windshields, showroom windows, plastic, metal, wood, or vinyl. This paint will bond permanently to wood, clay pots, poster board, plaster and other porous materials. Water based paint is odorless, non-toxic, fade resistant, and waterproof once dry.